Learn the definition, elements and benefits of system context diagram quickly in this article. 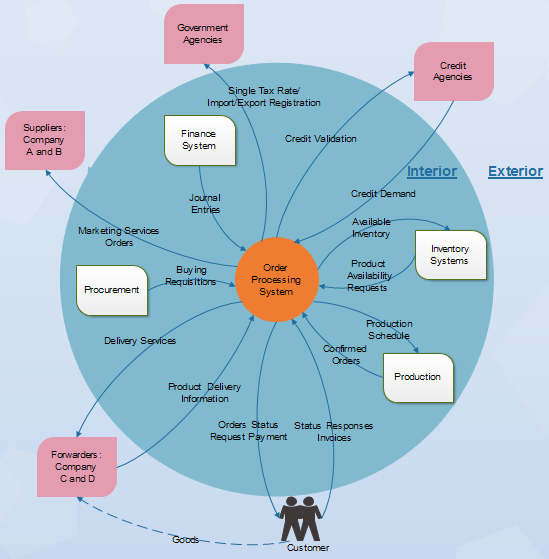 A system context diagram is useful in displaying how a system interoperates at a very high level, or how systems operate and interact logically. Edraw predefined shapes make it super easy to generate presentation-quality context diagrams extremely fast. Please check it out from the following example. In other words, the Context Diagram shows the system under consideration as a single high-level process and then demonstrates the relationship that the system has with other external entities (systems, organizational groups, external data stores, etc.). 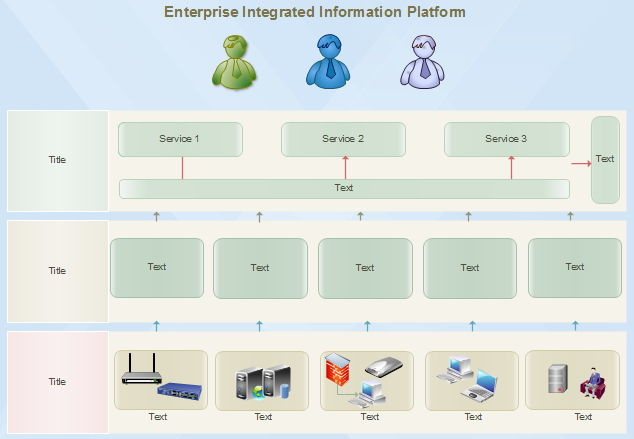 Read more about it in System Context Diagram Solution. System Context Diagram can be generated with two types of building blocks. * Entities (Actors): labeled boxes; one in the center representing the system, and around it multiple boxes for external actors. * Relationships: labeled lines between the entities and system. For example, "Order Processing." Context diagrams can also apply many different drawing types to represent external entities. They can use ovals, stick figures, pictures, clip art or any other representation to convey meaning as shown in the example below. Decision trees and data storage are represented in system flow diagrams. * Presents the scope and boundaries of a system at a glance including the other systems that interface with it. * No technical knowledge is assumed or required to understand the diagram because plain words are used. * Easy to draw and modify because of its limited notation. * Easy to expand by adding different levels of DFDs. * Can benefit a wide variety of audience including stakeholders, business analyst, data analysts, developers and so on.